I’ve been a fan of curlBOX founder Myleik Teele for quite sometime. From the #mytaughtyou journal to her always timely and motivating podcast episodes, I’m a true fan/supporter. 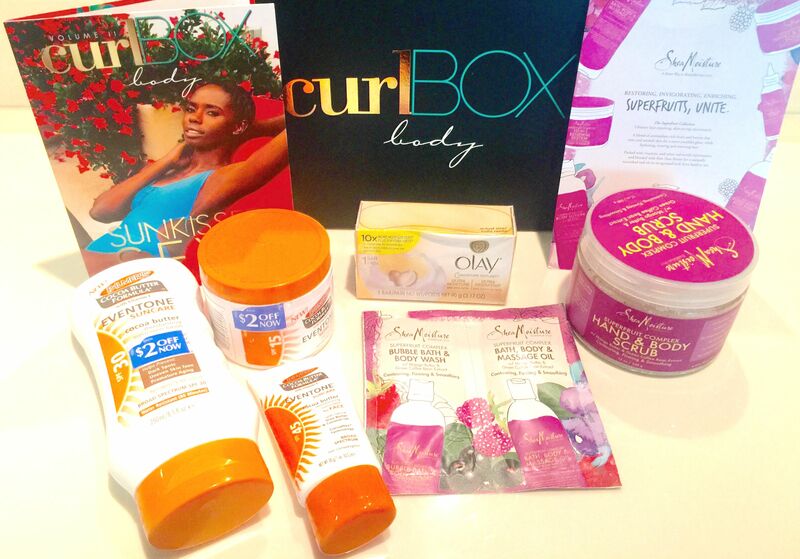 So it was only natural that I tried the curlBOX Body Box. Because I don’t wear my hair in it’s natural state all the time and I’m always “doing stuff” with my hair, I haven’t purchased purchased a curlBox yet. However when it came to the Body Box, I thought it was definitely something for me to invest it. I’m a huge beauty product junkie and after reviewing the brands I knew this box wouldn’t disappoint. I was right! Plus you can’t beat $25 for full size products. Check out my review below. So tell me, have you tried the curlBOX or Body Box? What do you think about my recent goodies? Let me know! Thanks for reading and watching and be sure to subscribe to my YouTube Channel. More videos coming next month! Until tomorrow, be blessed ad stay safe…XO! Great review, I have never heard of curlbox, but it is intriguing. Girl I have never heard of this before, but I am definitely going to try this out. I am always looking for some products for mine and my daughter’s hair. Going to check it out for sure. never even heard of this before thats awesome! 🙂 Thanks for reading, Ellen! I’ve been thinking about trying the Curlbox body. I just may have to do it now!